You are here: Home / Uncategorized / Craft Warehouse: 12×12 Scrapbook paper just $0.25 each! 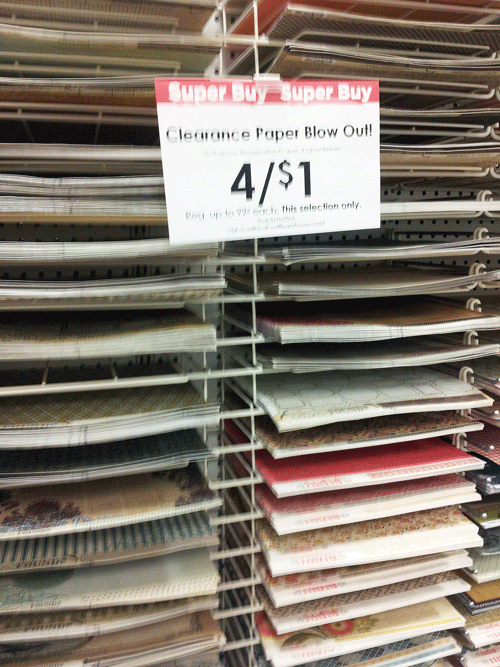 Craft Warehouse: 12×12 Scrapbook paper just $0.25 each! The Craft Warehouse is offering up a sweet sale. They have clearancedout their whole 12×12 Scrapbook paper to bring in new kinds and are offering up paper for just $0.25 each or 4/$1.00! That is the hottest deal I have seen on scrapbook paper in a long time. Many of these papers are double sided and really nice quality. 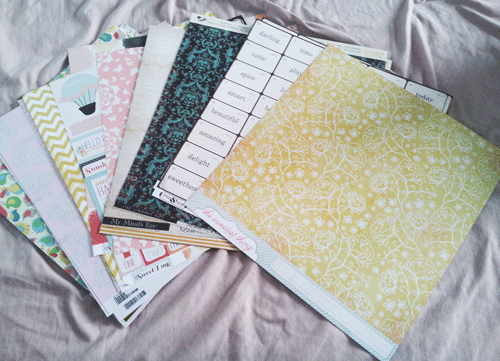 Here are the papers I came home with for some fun spring and summer crafts.